Can minor league prospect Ty France be the third baseman the San Diego Padres are looking for to start the 2019 season? Eric Hosmer is cemented at first base. The assumption is that Ian Kinsler will play second base, which bumps Luis Urias to shortstop. The Padres currently have a big hole at third base, with Wil Myers moving to the outfield. Or do they? 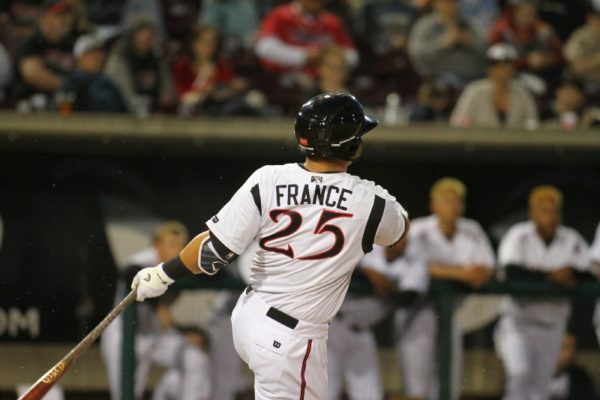 Former San Diego State Aztec and Tony Gwynn pupil Ty France has quietly, patiently, ascended the ranks of the Padres’ farm system after being drafted in the 34th round in 2015. He has made a stop at every level, from Tri-City to El Paso. He has produced everywhere he has been. He has never finished a season with a wRC+ lower than 104 and has an average wRC+ of 126 in those four seasons. France has never been considered a top prospect, especially with the immense depth the Padres have down on the farm, but he just keeps on hitting. He also logged over 2,200 innings at third base in his time in the minors. 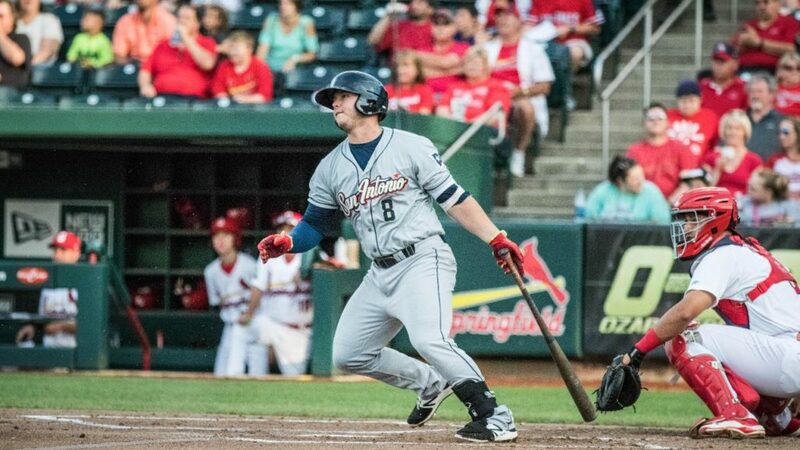 He finished 2018 in Triple-A El Paso, playing in 25 games while hitting .287 with five homers and a 138 wRC+. He has earned his shot at a major league spot this spring. If he continues on this trend, he very well could be the starting third baseman when the Padres break camp in late March. France was put on the 40-man roster, which only increases the likelihood of him having every opportunity to win the job at the hot corner. Of course, the Padres could swing a trade or sign, say, Mike Moustakas, and this discussion becomes moot. However, with how this offseason is trending and some hints towards the top of the franchise front office, the Padres very well could stand pat going into spring training, leaving that spot open for France. Could he win the job? Of course. He has yet to give the Padres a reason, at least with his bat, to doubt he could at least be a serviceable third baseman, comparable to Christian Villanueva, or even better. France is still relatively young at 24, the same age as Joey Lucchesi and only one year older than Franchy Cordero and Cal Quantrill. France also shows patience at the plate that could translate to the big league game. His 11.8% walk rate in El Paso is just 0.8% off of Luis Urias’ pace, who is constantly praised for his elite-level patience. Among players in El Paso with at least 100 plate appearances, only Forrestt Allday and Carlos Asuaje had a lower strikeout rate than France’s 15.4%. France should be given a fair chance to win the third base job out of spring training, even if the Padres sign a replacement-level, lower-tier veteran to plug in there (Moustakas certainly does not fit that description, however). 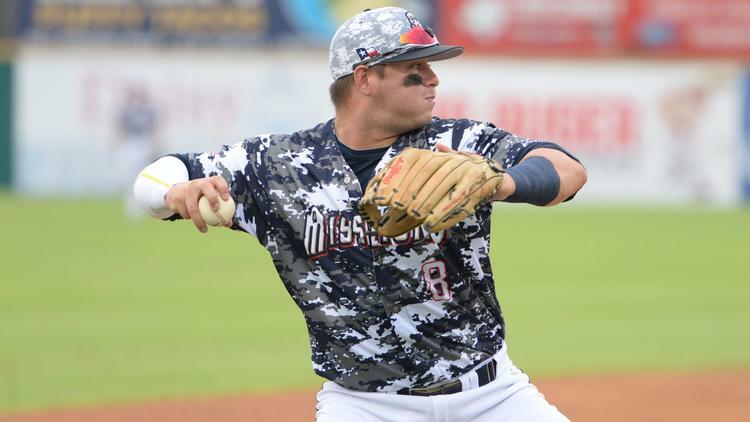 Barring a Moustakas-level move, France may very well be the Opening Day third baseman. Although Villanueva had a brief and successful stint in the big leagues in September 2017 before breaking camp with the team last March, the Padres knew relatively little about how he would do at the major league level until he arrived. He ended up with a 104 wRC+ and 20 homers in 110 games. Why can’t France be given that same chance? I would *love* to be proven wrong on this, but the lack of fanfare around Ty France tells me that he may be a 4A ball player (like George Arias in 1999). They need to aim bigger: Machado, Moustakas, or even Nick Senzel or David Bote. Markis on target regarding France’s mobility. If you compare Hudson Potts’ range stats at Fort Wayne and Lake Elsinore to France’s, there is a significant difference and Potts’ range is only average at best – his arm makes up some of the difference. On the other hand, what France does do is get on base whether by hit, walk or being hit by the pitch; something sadly lacking with most Padre hitters. He also is fairly dependable at moving runners over when they are in scoring position. Padres front office has problems evaluating and developing hitting prospects – they are very good at evaluating and developing potential pitchers. Seems obvious what they need to do to get the team to the next level. The club knew Villanueva was not their 3bman well before he came up. His problems with conditioning, hitting RHPs and fielding showed up at every level. France will have to earn his shot, just like every other player. A ML roster is not some charity cause, or some feel good non profit. Teams usually have a plan for every position, and almost never take a “why not give this guy a chance” attitude. This organization seems to have a problem with basic player evaluation. It is not too much to ask that players be able to hit, run and field their positions. Yet the roster is clogged with guys who can’t field or run, and sometimes barely hit. But, you know, there is a pretty decent 3bman/SS still available on the free agent market. A smart GM would look to fill organizational holes with a FA signing or two. So basically Christian Villanueva 2.0? Haha. I at least want him to be given the chance. Good article I have been thinking the same!